Mental health issues have increasingly become a hot button topic for some time now. With the realization that mental health issues play a crucial part in the over health of all individuals in all societies, there has been a push to emphasize this issue in many government agendas and propel this into priority status. Mental health issues impact all demographics across all age groups. In particular, how mental health issues affect children has become a salient issue for us to consider. KUCP Education Department’s continuing emphasis on issues related to depression and anxiety aligns well with what is current in society today. In the most recent PTA meeting, the Education Department invited Ms. Sarah J. Lim, a licensed professional counselor, to present a seminar entitled “Depression, Anxiety, Gospel.” She provided a general survey on the topics of depression and anxiety with a focus on counseling. Usually the topic of depression and anxiety in the minds of most focuses on severe instances where there has been a clinical diagnosis and the treatment involves psychological and psychiatric intervention – the stereotypical image we carry in our minds based on television dramas and movies. However, Ms. Lim aptly presented a very different picture of depression and anxiety focusing on potential onsets far before it gets “interesting” enough to make it to a TV or theater screen. In the seminar, Ms. Lim presented a Venn diagram of all the components that comprise what we view as wellbeing: physical, social, environmental, economic, and psychological. As a society in general, most people probably do not view the psychological component as a very important factor in achieving wellbeing. And, in particular, the Korean society as a whole probably places psychological component as the least important. Ms. Lim provided ample statistical data to support the denial on the part of the Korean community for the need to recognize the impact of psychological health in overall wellbeing. In trying to break through this notion that psychological health is not a major player in overall wellbeing, Ms. Lim presented specific case studies where individuals from the Korean community, varying in age from toddler to senior citizen, successfully utilized counseling services to address symptoms of depression and anxiety. The therapy consisted of series of sessions involving a conversation with these individuals to sift through the facts and pinpoint the cause of any potential depression or anxiety before it gets too ingrained into their psyche. 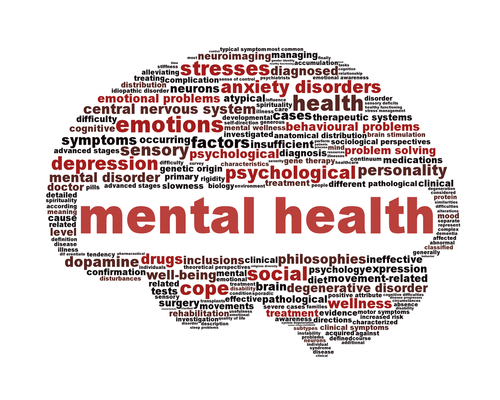 Basically, counseling provides the first line of defense against more severe mental health issues by proactively addressing (and hopefully resolving) potential serious issues before they truly take a hold on our lives. Using a similar approach modeled on counseling (as presented by Ms. Lim), the Church needs to be aligned with an active campaign to identify and address issues related to mental health. What better place is there to share and communicate our lives than our Church community? What better place is there to share in our thoughts? What better place is there to openly share our depressions and anxiety? More importantly, as it relates to our children, both the Church and household should nurture an environment of communication and sharing. Our children should not feel ashamed to have moments of sadness, concern, withdrawal in their lives, afraid of any social stigmas that could be affixed to them. We should embrace the opportunity to have them speak to us and share their thoughts before anything of true gravity weighs on our children. Most importantly, however, we really need to have our children truly come to know Jesus Christ and be in constant communication with Him through prayer. This is the ultimate communication and counseling that is required to be able to truly be at peace from any mental issues, small or big. Our children really need to have a personal relationship with Jesus Christ. The gravitas of the situation requires us to be more aware and diligent, both as a Church and as parents. We need to emphasize the spiritual health of our children even more than ever so that it harmoniously brings peace and comfort to their psychological and mental being. Only then can our children achieve full and complete wellbeing. The spiritual component should be the hub of the wheel with the other relevant components (i.e., physical, social, environmental, economic, and psychological) acting as spokes radiating outwards to complete a well-rounded wheel of wellbeing that runs smoothly under the auspices of Jesus Christ. 한나 여전도회 친교모임과 신입회원 환영회를 마치고..